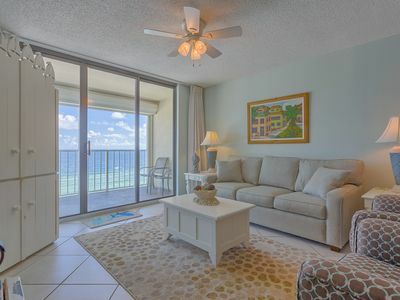 Tradewinds #1104 - Amazing Gulf Front Views! 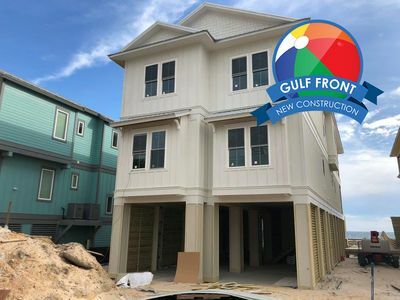 Nestled behind the sugar white sand dunes of the Gulf of Mexico just steps away front the beach awaits your waterfront island paradise getaway at Tradewinds in gorgeous Orange Beach, Alabama. 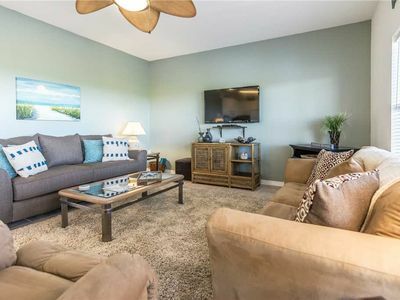 This stunning and comfortable two bedrooms/two baths condo welcomes you with 941 sq ft of convenience and relaxation at Tradewinds located in the heart of Orange Beach near some of the best shopping, dining, entertainment, family friendly activities and attractions on the island. 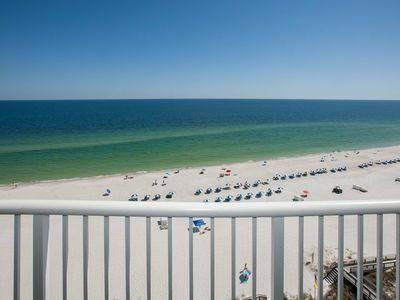 We recommend starting your stay by stepping outside your front door and walking on the boardwalk directly to the breathtaking sparkling clear emerald green waters of the Gulf of Mexico, where you can relax by the beach listening to the sound of waves crashing, read a book, swim, play games, build a sandcastle, look for seashell -- or all of the above! 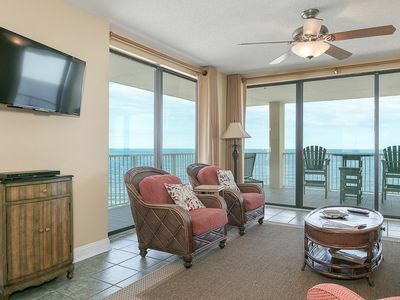 If you would rather float in the pool but don't want to miss out on the gorgeous Gulf views, no worries... you don't have to pick between the two! You can spend the day cooling off on our beachside pool under the gorgeous southern sun! In case there is inclement, you can enjoy the heated indoor pool. 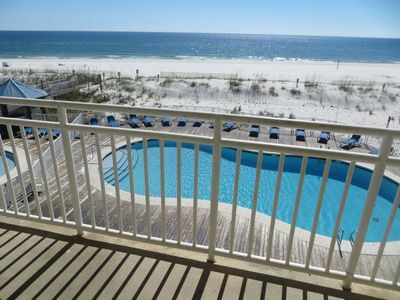 Your vacation or getaway fun just begins at the beach/pool. 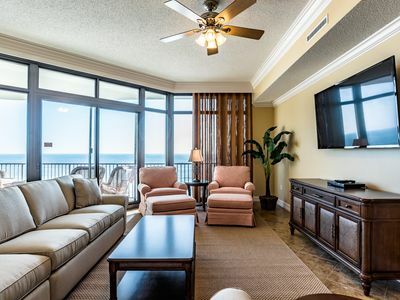 Orange Beach has a little something for everyone along its sprawling coastline; favorite activities here include boat rentals, dolphin cruises, kayaking, parasailing, and deep-sea fishing. 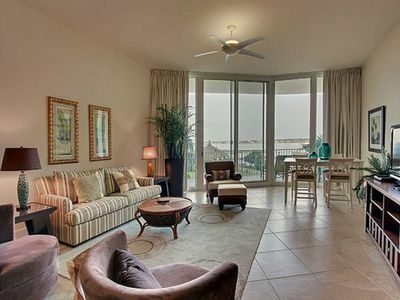 Beyond the water, the area has golf courses, a range of amusement parks, and extensive opportunities for shopping. Even museum fans can get their fill here, as Orange Beach is home to Indian & Sea Museum and Sea, Sand & Stars. By now you’ve probably worked up quite an appetite. 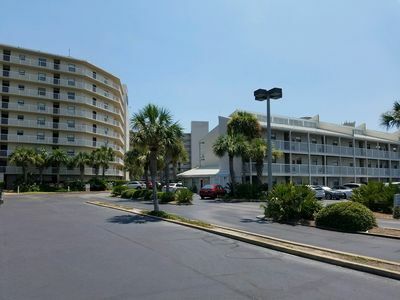 Along Perdido Beach Boulevard you can dine at one of the several restaurants offering casual to fine dining including some delicious local seafood, coffee, desserts as well plenty of options for an evening cocktail while enjoying live music to cap off the night. 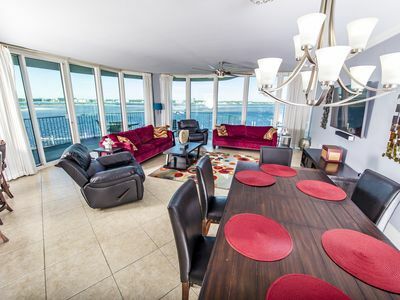 Looking to reconnect with family and friends with stay in dining options? 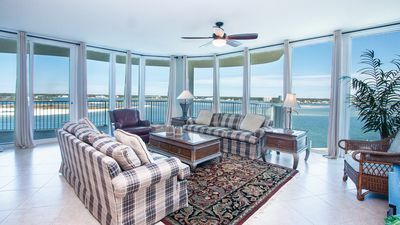 The complex offers grilling area with charcoal grills, so stop in The Meat Market and pick up what you need for a relaxing evening in for private dining in your condo on the gorgeous Gulf front patio knowing that every convenience from home is stocked in our fully appointed kitchen featuring stainless steel appliances and granite countertops. Need to work up an appetite with a little shopping? There is something for everyone in the area inside the incredible shops at The Wharf and Tanger Outlet Mall featuring everything from fine apparel to island wear, jewelry, souvenirs, Build-A- Bear and more. Looking for entertainment? Nearby is the The Wharf, a family entertainment district with tons of fun activities and events throughout the year. The Wharf features the famous Wharf 10,000-seat Amphitheater featuring some of the hottest touring acts in the country like Jimmy Buffet, Dave Matthews, Luke Bryan; The Wharf Marina is home to some of the Gulf Coast’s best sport fishing events, dolphin cruises, golf outings, The Wharf Ferris Wheel, the largest in the southeast, the 15 screen AMC Movie Theater showing first run movies, laser tag and the nightly SPECTRA Wharf Light & Sound Show along Main Street! Whether you are looking for an adventurous or relaxing vacation, location is everything and our location lets you pick your own adventure. 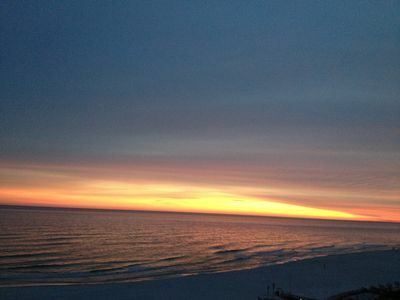 You are just minutes from every activity the island has to offer whether it’s sport fishing on the Gulf, reading a book on the beach, parasailing, hiking the Backcountry Trails, glass blowing and pottery throwing at the waterfront Coastal Arts Center, shopping and just 7 miles away from the OWA Amusement Park and Entertainment Complex. We hope you consider staying with us where you enjoy the benefits of an inclusive travel destination with the modern conveniences of home. 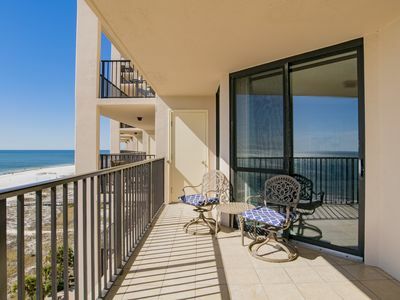 Our condo sleeps 6. 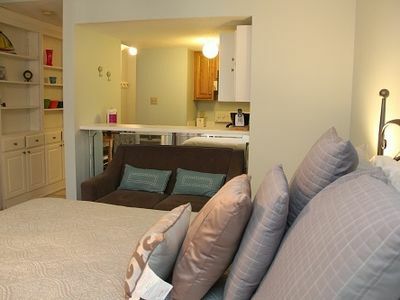 The master suite features a comfortable king bed and a flat screen TV. The guest room features a queen. 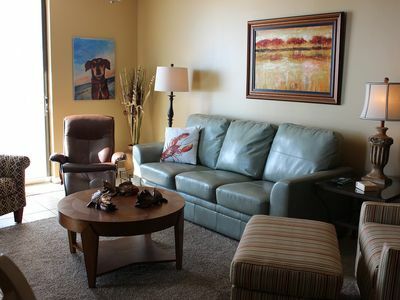 There is a full size sofa sleeper in the living room. 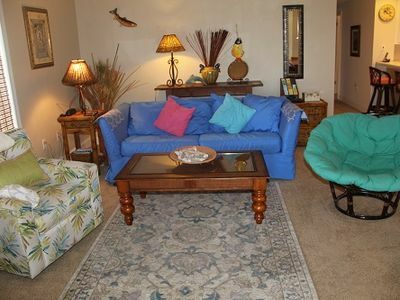 There is a TV/DVD player in the living room and of course free Wi-Fi!. Parking: Parking pass is not included in your rentals and will need to be purchased at security office when you arrive. 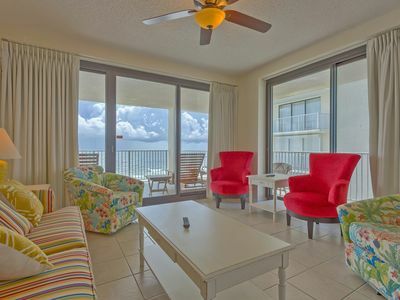 The cost is $20 one time fee for the entire stay. There is a 2 car per unit limit. 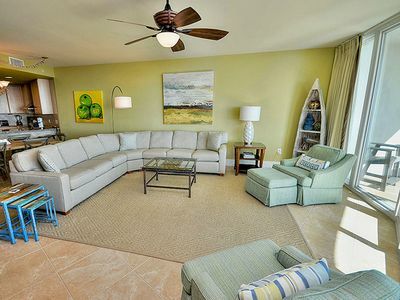 Phoenix VII 702 - FREE GOLF, FISHING, DVD RENTALS, WATERVILLE AND ESCAPE ROOM TICKETS! 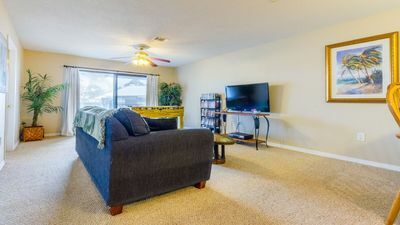 AWESOME 3BR/2BA CONDO! Summer dates going fast- get ‘em before they’re gone! 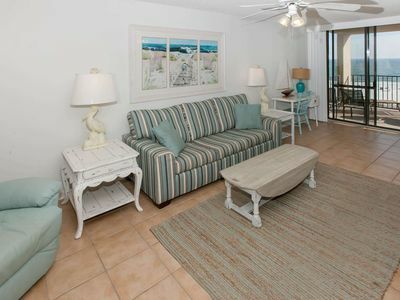 Luxury Updated HUGE 4/3 Corner Unit, Caribe Resort!